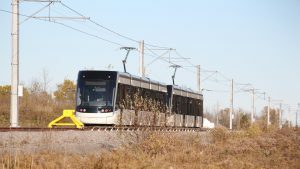 Design and planning work continues on Hamilton’s 10-mile (14-kilometer) LRT line, despite ongoing political uncertainty over the project’s future. Meanwhile, the planned and approved expansion of GO Train service to Grimsby, St. Catherines and Niagara Falls has experienced a recent potential setback. 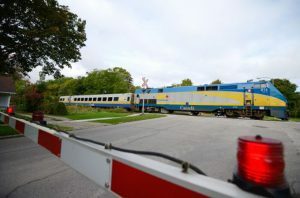 And on Oct. 30, the author, representing Railway Age, visited the Bombardier Transportation rail division plant at Millhaven, Ontario, located a short distance west of Kingston. 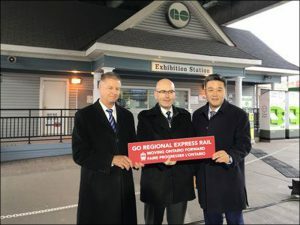 Ontario is adding new stations and performing upgrades across its GO Regional Express Rail (RER) network to prepare for additional all-day, two-way GO train service for commuters in the greater Toronto and Hamilton area. Ontario and Metrolinx are proceeding with planned improvements for the Lakeshore West GO Transit corridor with the issuance of a Request for Qualifications (RFQ). 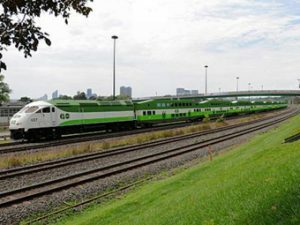 Parsons has begun providing technical advisory services for Metrolinx’s Enhanced Train Control and Conventional Signaling (ETCCS) project, part of the Canadian agency’s 10-year GO Transit regional/commuter rail expansion program consisting of C$13.5 billion in capital projects and $7 billion in state-of-good-repair works. 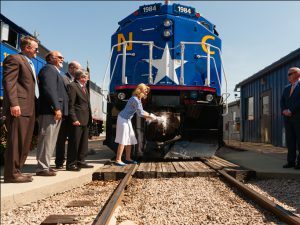 The North Carolina Department of Transportation and state First Lady Kristin Cooper christened the #1984 “City of Kannapolis” locomotive for use in daily Piedmont passenger service. GO rail network stations across Ontario’s Greater Toronto and Hamilton Area (GTHA) will receive station improvements, to ease congestion and provide faster, more frequent and more convenient service for commuters. Progress has been made on Metrolinx’s plan to electrify the GO Transit regional/commuter rail network. 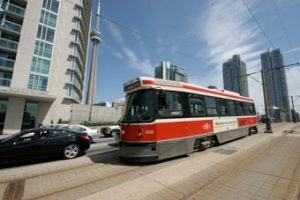 Meanwhile, major delays and controversy mark Bombardier’s streetcar contract with the Toronto Transit Commission. 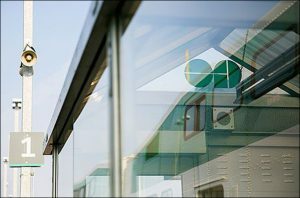 Metrolinx: Fuel cells for GO Transit? 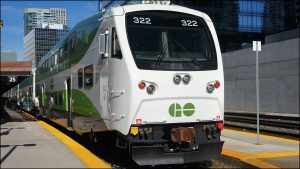 Metrolinx, the provincial agency in Ontario, Canada, that manages most of the region’s public transportation, expects to conduct a C$5 million feasibility study on hydrogen-fuel-cell-powered GO Transit regional/commuter trains, the Toronto Star reported on June 15. (Editor’s note: The following is the full version of a story published in the June issue of Railway Age.) It all began on a lovely Spring morning in 1967, Canada’s Centennial Year: Startup of North America’s arguably most successful new commuter rail service, GO Transit. 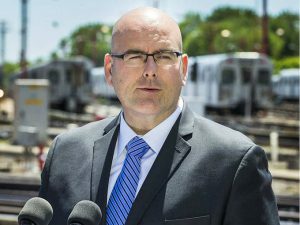 Ontario Premier Kathleen Wynne announced on May 19 that the province will move forward with plans to build Canada’s first high-speed line after a report by David Collenette, Ontario’s special advisor on high-speed rail, concluded the project has a positive business case.